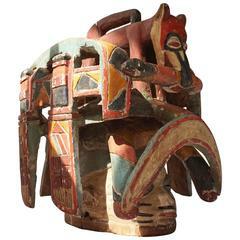 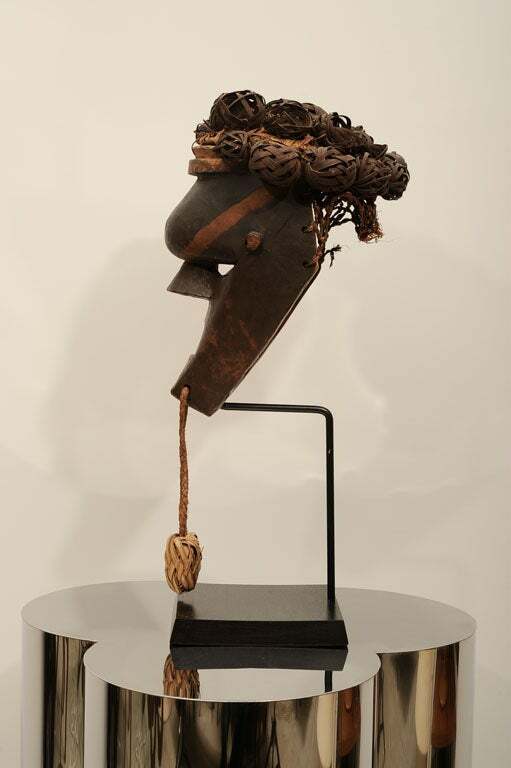 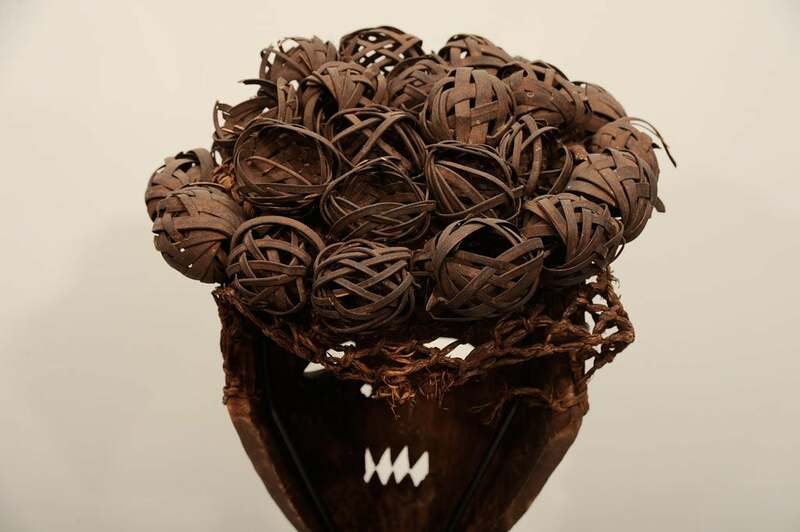 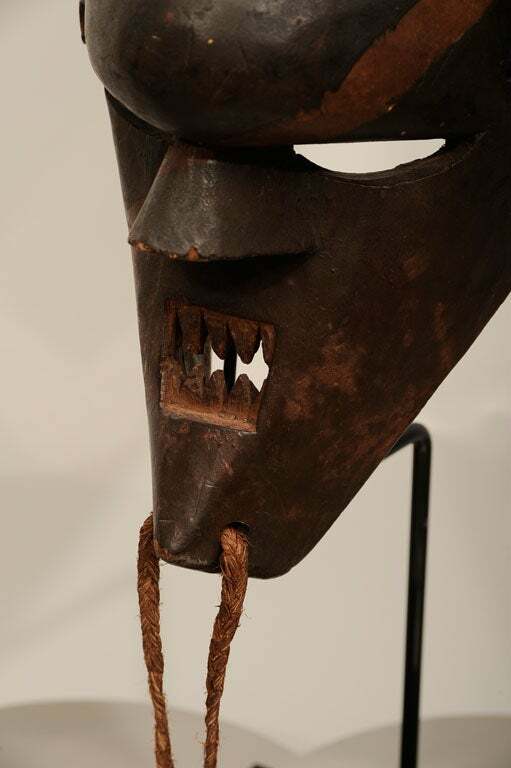 Fiercely visaged mask with bulbous forehead, filed teeth, and original woven fiber head piece. 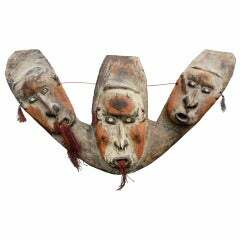 Rakish marking painted in red is an unusual and graphically arresting feature. 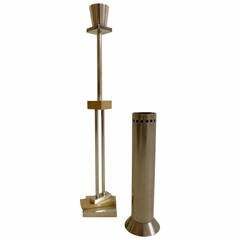 Measurements include stand. 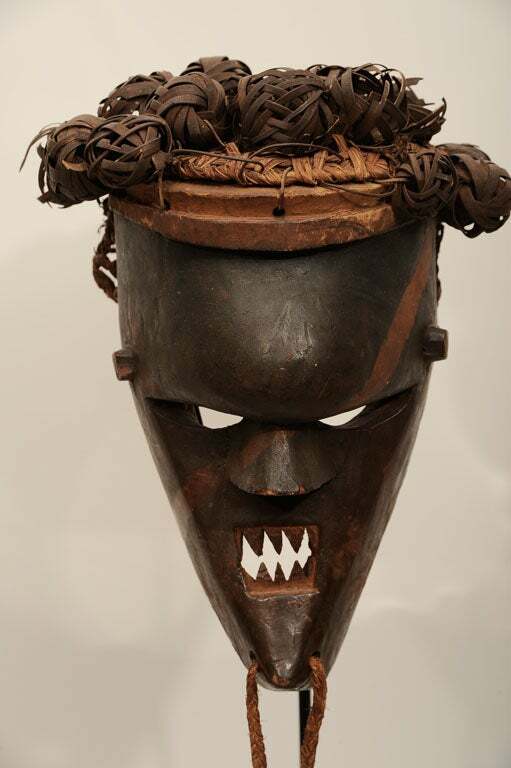 The Salampsasu tribe was from the Congo, and were known as warriors and head hunters. 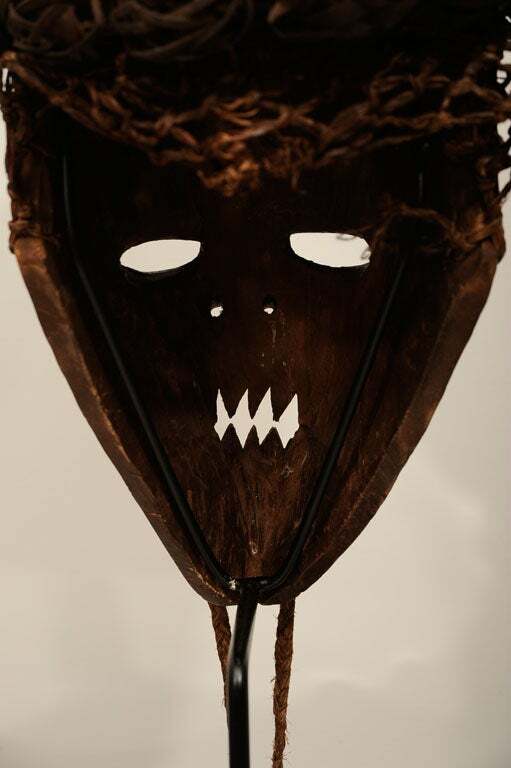 Their masks, like this initiation mask, were likewise fierce-looking. 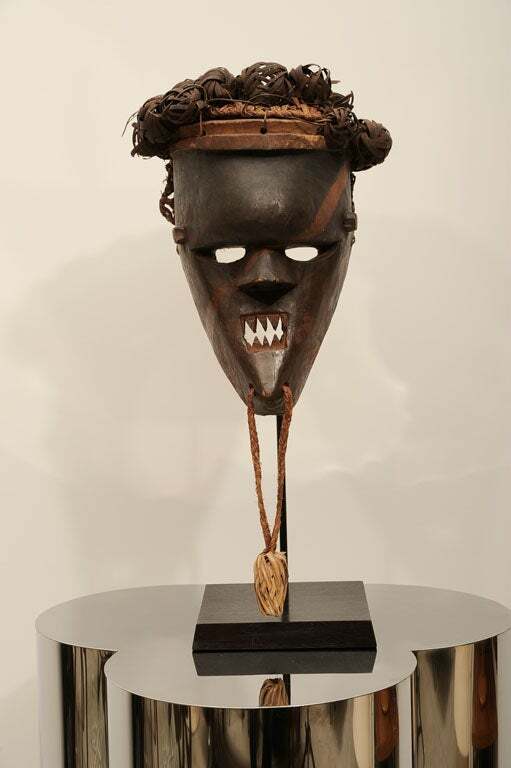 An old mask with good patina and markings, from a Belgian collection, purchased in Brussels. 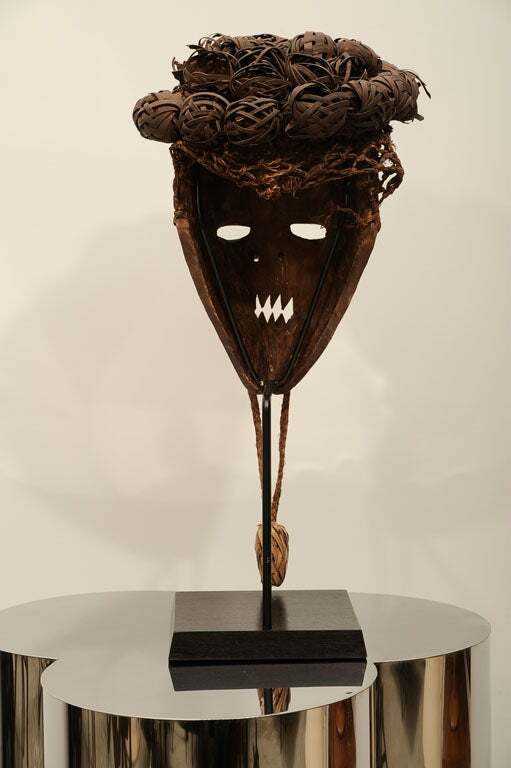 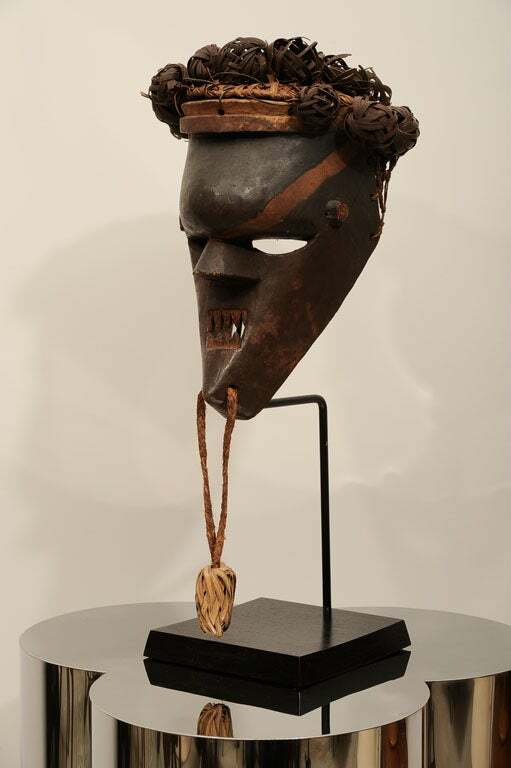 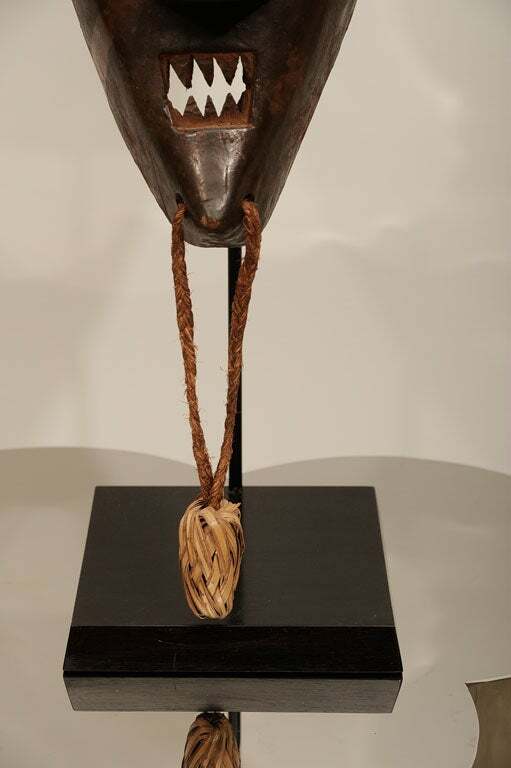 Bamana Mask, Suruku Mali, 1940s.